Luther M. Siler was born in 1976 in northern Indiana and has spent his life living there or in Chicago. He currently resides in northern Indiana with his wife, young son, and an assortment of pets. 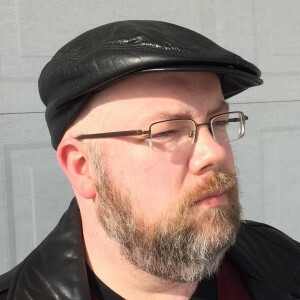 He spent fifteen years teaching, mostly at the middle school level, and is currently a full-time freelance writer and editor. He writes about space gnomes and Mars. My uncle David gave me THE HOBBIT when I was in second grade, and I’ve spent most of the decades in between now and then fighting the urge to write. I finally gave up a few years ago and started publishing books. I don’t know that I really have a specific inspiration other than that I really like reading the stories other people have created and the idea of producing my own work for them to read appeals at a gut level. Most of my writing is actually nonfiction and short blog posts, because writing fiction is actually very difficult for me, but I’m happiest when I’m making up stories. I’m very seat of the pants. Previous books were composed in Word or FocusWriter; my most recent work and the current WIP are being written in Scrivener, which I’m enjoying learning how to use. I need music playing and general solitude; I can’t write fiction with other people around. Cold helps too, for some reason. I generally know the beginning of a story and a couple of the main characters when I get started, and I generally figure out the ending around the halfway point, which usually requires going back and fixing some of the beginning. I don’t know what would happen if I tried to plan out a book. I think it would probably paralyze me. As a seat-of-my-pants writer, most of the time I’m hollering at them to get to what I want them to be doing as they merrily go off their own way. I didn’t understand what other authors meant when they said that characters could take over a story and drive it their own way until the first time it happened to me. It sounds like it can’t really be a thing, but it is. Oh, man: John Scalzi, N.K. Jemisin, Brandon Sanderson, Cherie Priest, Salman Rushdie, Mira Grant/Seanan McGuire, H.P. Lovecraft, Robert Howard, John Irving, Nnedi Okorafor, Saladin Ahmed, Helene Wecker and Stephen King. And tha’s just off the top of my head. My favorite books, all time, are the Lord of the Rings series and HAROUN AND THE SEA OF STORIES, by Salman Rushdie. I initially submitted SKYLIGHTS to a few dozen agents, and other than one “send me more” that later resulted in a rejection I didn’t really get anywhere with it. There are plenty of authors (a few of them much better writers than I will ever be) who will tell stories about submitting a piece to dozens of places before it was purchased. I lack the patience for that, and I refuse to slave over a query letter when I could be slaving over a book, so I self-publish instead. My books have been well-received thus far, and I’m certainly open to a traditional publishing offer if one comes my way, but I think at this point they’re going to have to come find me. Self-publishing allows you to replace at least SOME of the luck involved in traditional publishing success with hustle. There’s still some luck involved, and skill has to be there, but I’ll take extra hustle over extra luck any day. Books are never ever ever ever ever ever ever going away. Period. It’s important to stay flexible– my books are available in print and digitally, and I’ll be moving into audiobooks soon– and you have to be smart enough to see the waves coming and try to stay on top of them. But books are never going away. I’m not worried about it. Science fiction, mostly, but there’s a fantasy series coming.